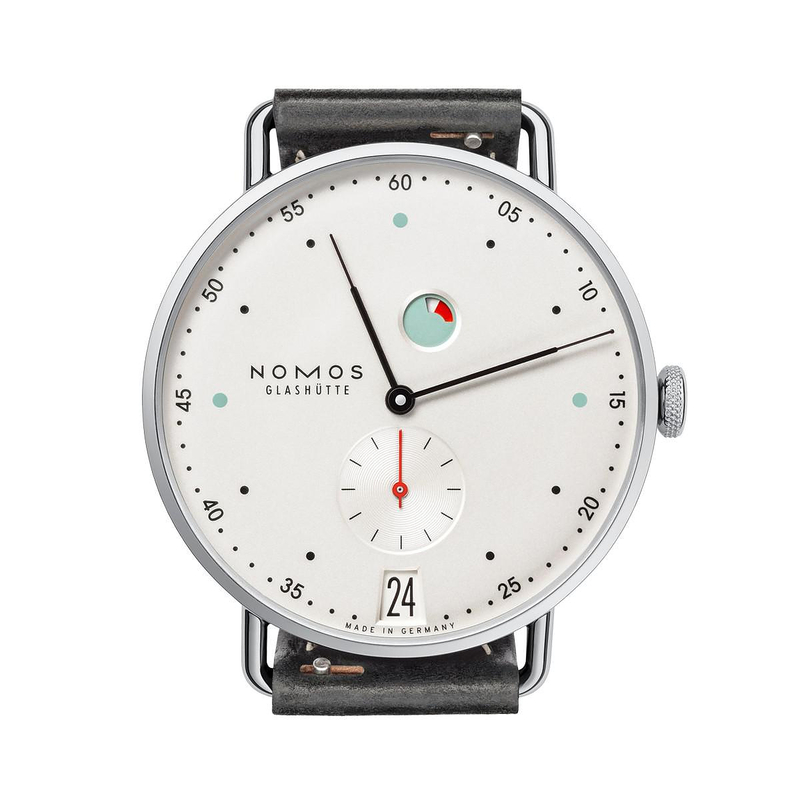 Nomos Metro Datum Gangreserve Watch. 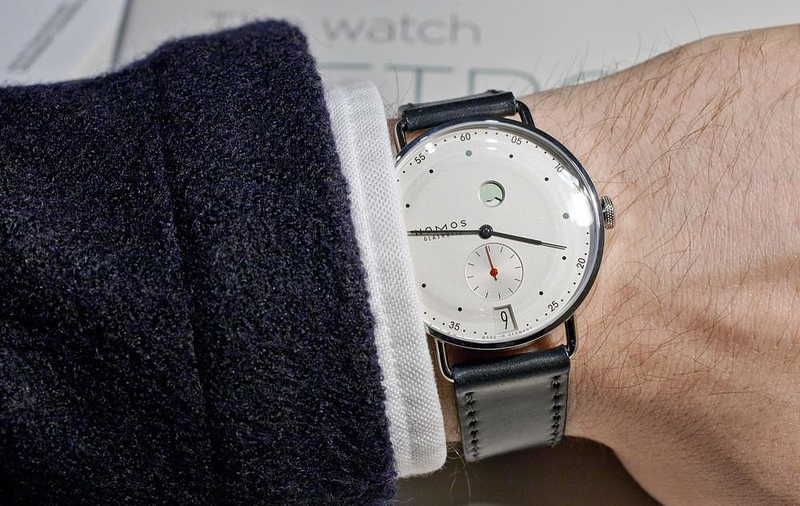 HomeBlogFashion & StyleA Gentleman’s Watch: NOMOS Metro Datum Gangreserve. 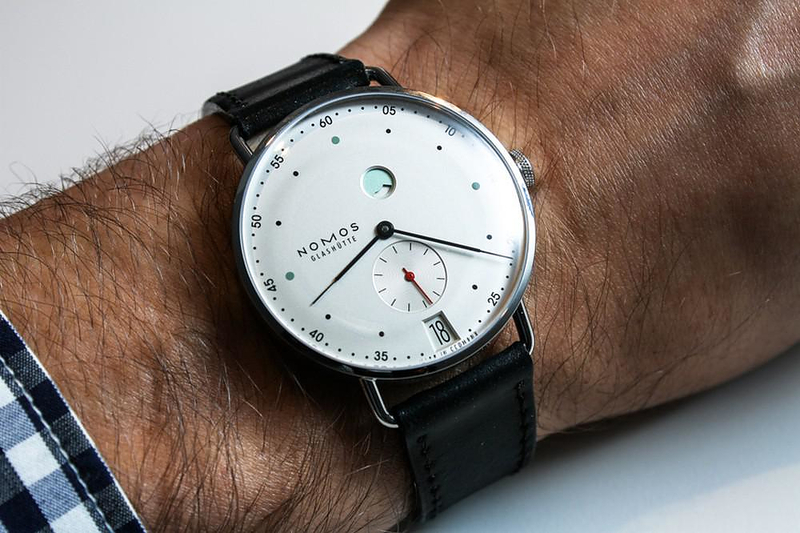 Created by Berlin-based designer Mark Braun, the NOMOS Metro Datum Gangreserve automatic watch combines the highest precision with urban elegance and classic style. As delicate as the nib of a fine fountain pen, its hands tell the time with grace. The dial with a date, power reserve indicator, and clear minute indexes, is timelessly elegant and displays time in flawless style. 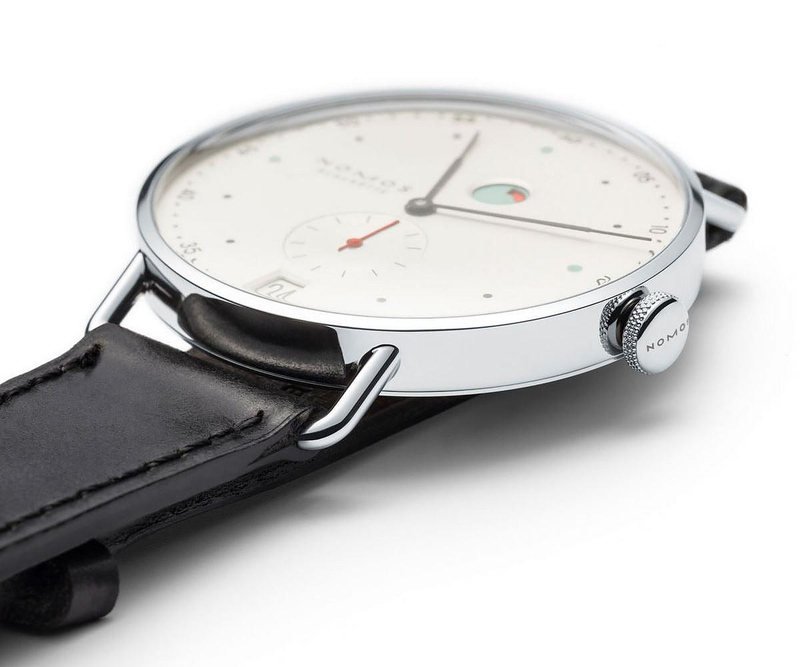 German brand NOMOS Glashütte has a distinctive collection of fine wristwatches and is committed to outstanding, simple and clear display of time. 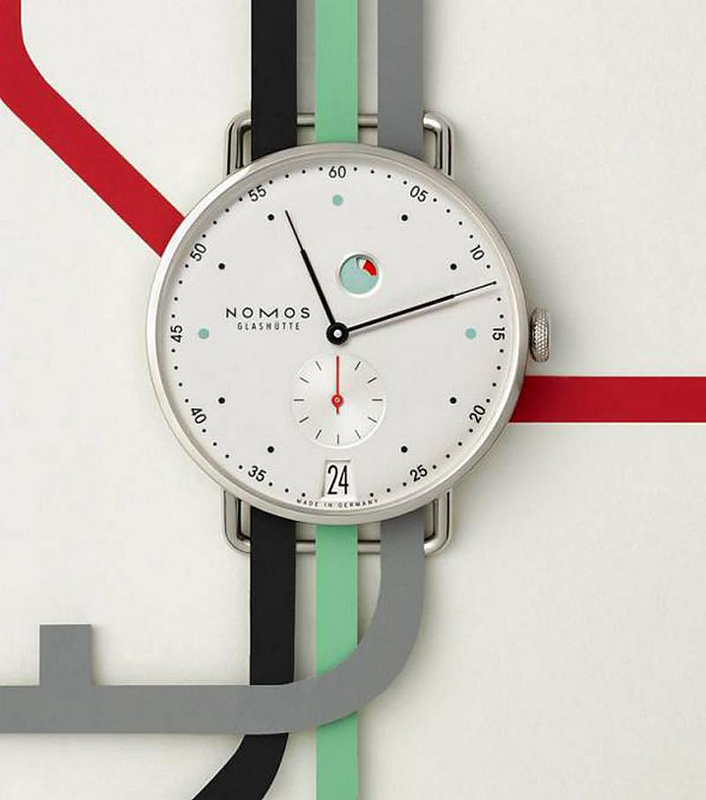 The Metro Datum Gangreserve is based on these fundamental principles, and it adds an elegant urban style with white, mint and red colors, the Metro Datum is complex and simple at the same time. 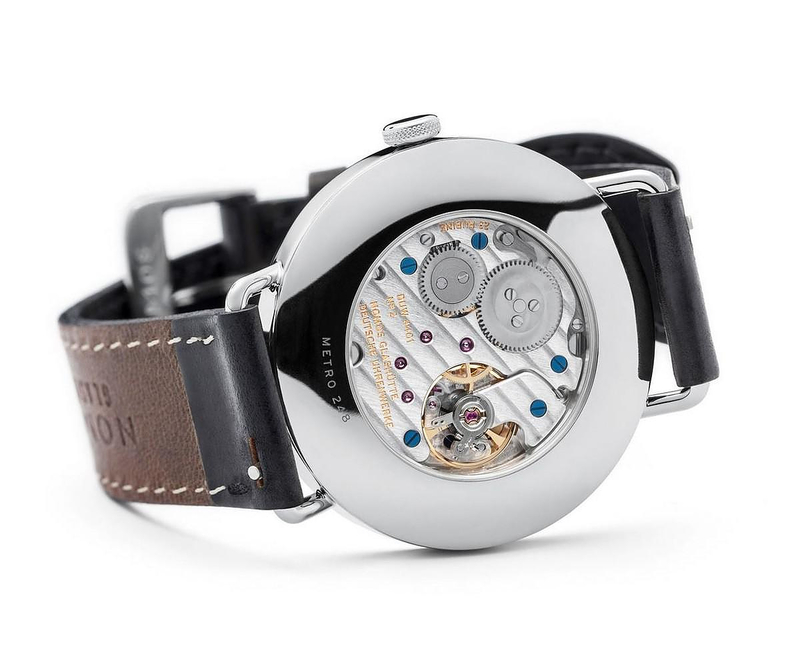 Subtlety parts: body, arrows, indices, make this model attractive to the eye and a subtle decorative element for the wrist of the modern gentleman. 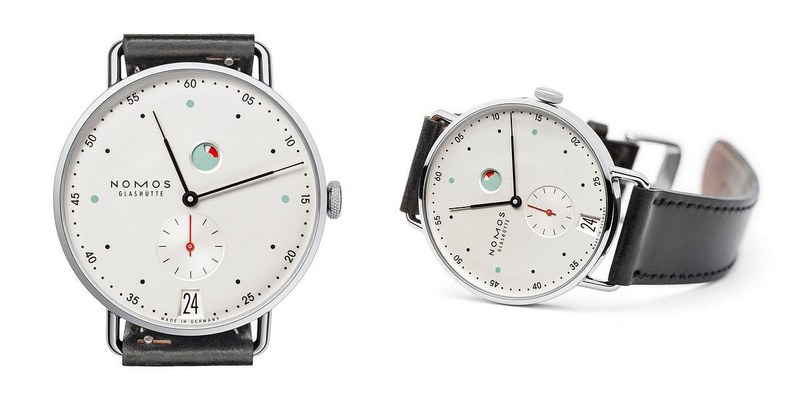 Metro Datum Gangreserve is equipped with power reserve indicator and a sufficiently large date window, the rest of the design is refreshingly minimal. Just dial allowed: hour indicators are displayed by points and added Arabic numerals to the minutes. The thin black oxidized clock hands quietly slip on white background of the dial, once again proving that elegance is found in simplicity. The finishing detail is the simple and sleek black leather belt with a steel buckle. 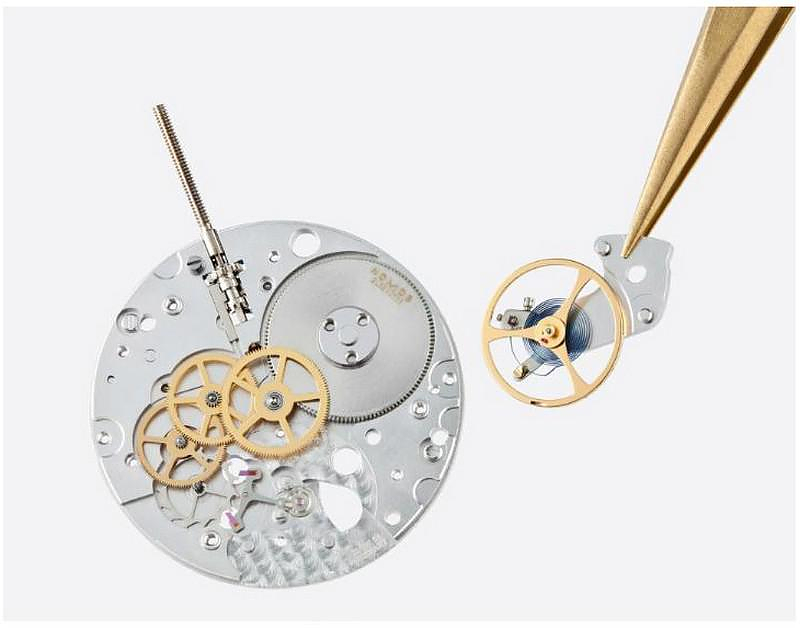 Responsible for the movement is a German mechanism, draper, with manual winding caliber NOMOS DUW 4401. 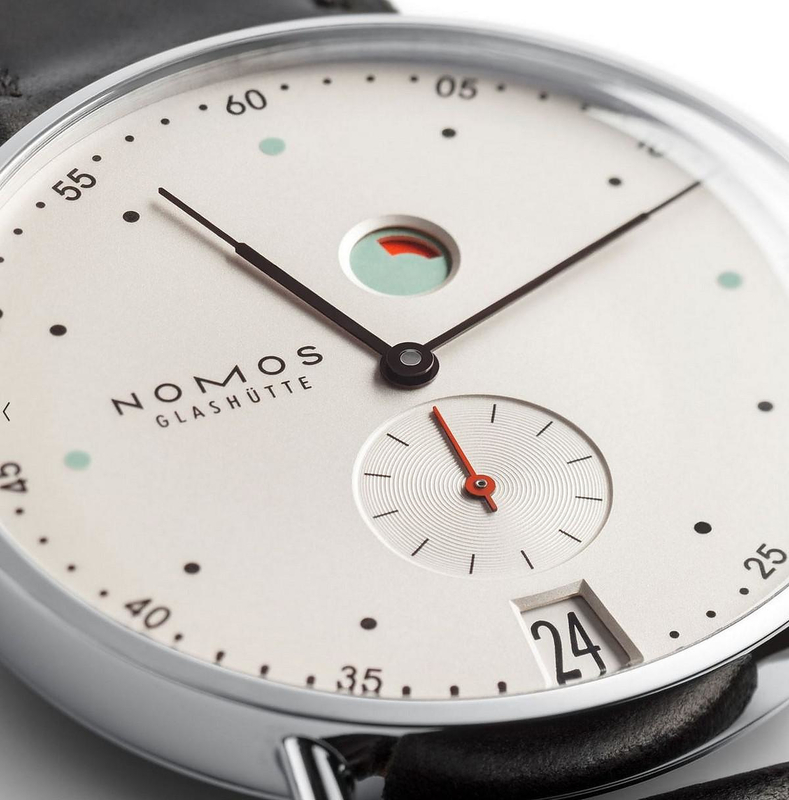 The first NOMOS caliber with the in-house built NOMOS swing system. 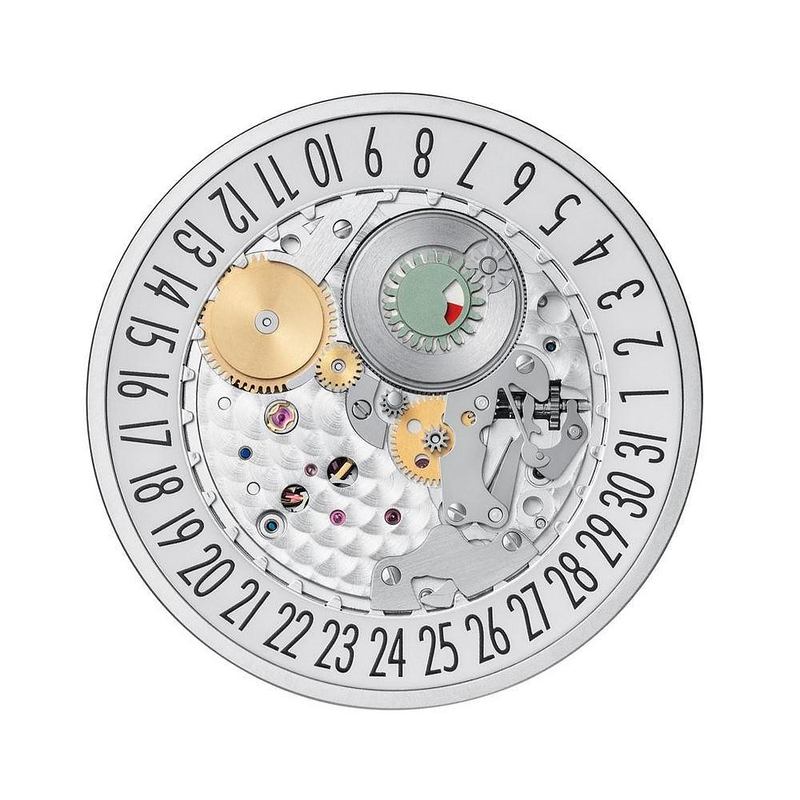 Some of the technical details: manual winding, date mechanism and power reserve indicator, both patented, tempered blue balance spring, movement individually numbered on the three-quarter plate, 23 jewels, fine adjustment in six positions, Glashütte sunburst and NOMOS perlage. 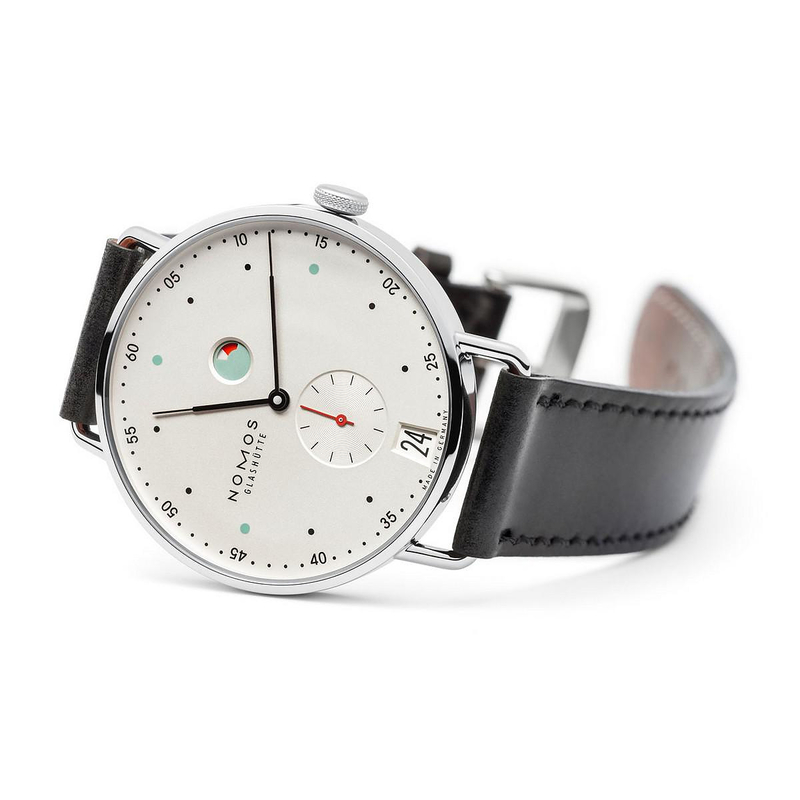 NOMOS Metro Datum Gangreserve is reminiscent of a precise measuring device, displaying the passing of time in the most beautiful way, and is surely among our favorite men’s watches.